How to legally move to Australia? This is a general question for a lot of folks and that is “I want to move to Australia, where and how do I start? 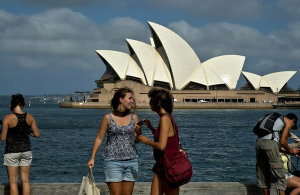 Well, there are a number ways to immigrate to Australia and the best is legally moving there. At the very onset of folks immigrating to Australia, only whites were favored with its policies; these were called the white Australians. And in later years, when the traveling policy was modified, with the clear goal of spreading throughout the world, it attracted qualified immigrants whose contribution is effective to the strengthening of the Australian economy. 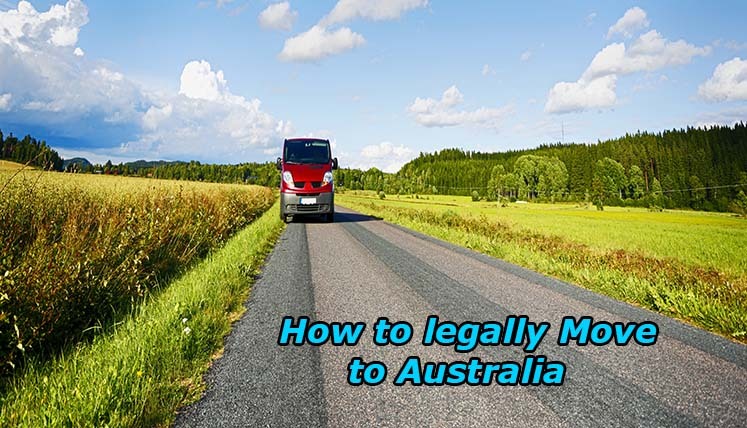 Legally moving to Australia entails that you know the right steps to take to achieve it. Moving to Australia legally gives you better opportunities and delivers to you permanent resident chances. A Permanent resident eligibility requires an applicant to meet the following points which are basic such as scoring a 60 point based on a points test system. Applicants too should be between 18 and 50 years old, should pass the IELTS (English Test Exam), designated occupation should be under the Skilled Occupations List, and should get an invitation after lodging Expression of Interest (EOI). An applicant can legally move to Australia if he /she applies through a sponsor or partner that is already an Australian citizen and one admiring legal way also is to invest i.e. establishing new or existing business in Australia. You can also legally move by applying through general skilled migration program mainly suited for skilled migrants. However the Australian government advises you to go to the migratory agents to assist you and one reputable one is Visas Avenue. Visas Avenue is authorized and registered and is in charge of advising the process and presentation of applications of the applicant for different Australian territories, but at a cost which must be initially agreed with the immigrant. Visas Avenue knows the immigration laws and is always updated to inform its client’s i.e. prospective applicants the rules and requirements of legally moving and living in the country. Once an applicant passes the basic requirement test, applies for the permanent resident visa and gets approved and given, he is totally welcome to live in Australia as a legal migrant and enjoys certain benefits afforded to its citizens. Because Australia is looking for qualified workforce to help advance its economy, there are more than 350 qualified and non-qualified occupations in the Skilled Occupation List which widens the possibilities of any immigrant legally and there are 150 types of visas, from which the immigrant can choose, according to the goals or purpose of his or her travel. To gain access to the Skilled Visa, the applications of the immigrant prospects go under the “General Skilled Migration” system, and must pass with a minimum score of 120 point. The Australian migratory policies does not allow immigrants without authorization to develop any activity in the country hence to get yourself moving legally and becoming the country’s permanent resident holder, it is necessary to get a professional migratory Agent i.e. Visas Avenue who can help you to choose the adequate visa among the 150 types there are and will help you get there legally guaranteed. Know what benefits of Canada immigration are!